Was feeling a little sore today from playing in the softball tournament yesterday. I guess it was to be expected since Beachbody does not want you working out during the Ultimate Reset. Besides that I felt great. Energy levels were high. My appetite is coming back and I’m craving better foods. Another big ol plate of fresh fruit for breakfast. Vegetable Miso Soup with a Microgreen Salad and slice of whole grain toast for lunch. 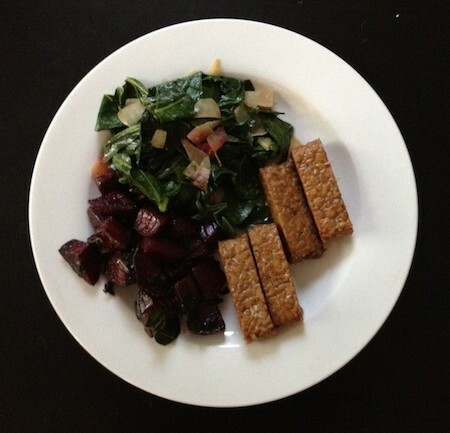 Dinner was Mediterranean Roasted Beets, Baked Tempeh, and Coconut Collard Greens. Was very impressed by dinner.